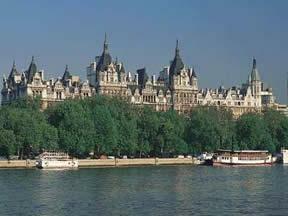 London Hotels, Guest houses and bed & breakfast accommodation in around near London SW1 all with real-time, confirmed online reservations. In a desirable location overlooking the Queens Garden, adjacent to the Royal Mews on Buckingham Palace Road. No request too large, no detail too small, 41 is a quiet and exclusive haven for the most discriminating traveller. An elegant Victorian conversion. The Corona boasts all the requirements you expect of a modern hotel. With an elegant Victorian conversion the Corona Hotel is home to all the requirements of a modern hotel, including electronic locks, data and modem points. Centrally located within walking distance of Buckingham Palace and Victoria train station, make the Hotel an ideal base from which to enjoy all that London has to offer. This newly refurbished hotel is the closest hotel to Victoria coach station, and offers comfort, style, good value and convenience just a few minutes' walk from Victoria rail station. 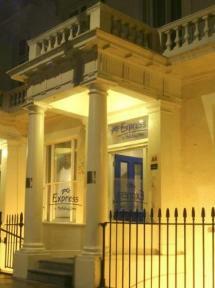 Comprised of 3 renovated Georgian-style town houses, our well-located hotel is excellently positioned for Victoria train and coach stations, and for exploring the sights of the capital. 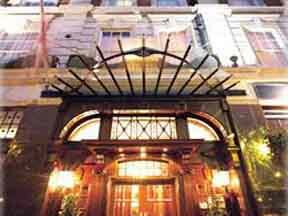 This luxury hotel is in the heart of the fashionable London area of Knightsbridge. 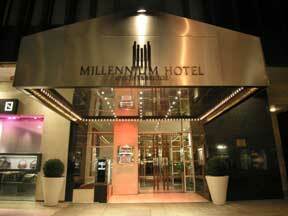 This 4 star deluxe Millennium Knightsbridge is located amidst a wealth of exclusive designer houses and famous department stores. 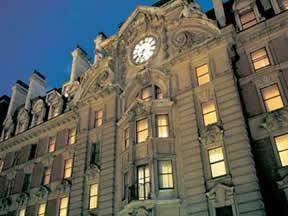 The Trafalgar, modern and contemporary, provides an impressive contrast to the capitals more traditional hotels. With several deluxe and deluxe plus rooms offering stunning views across the Square, this exciting new approach will appeal to those who enjoy a chic, comfortable yet minimalistic lifestyle. Within the heart of London's theatre district and next door to the city's main shopping streets, The Trafalgar is close to famous attractions such as the Houses of Parliment, Big Ben, Westminster Abbey and the London Eye. Combining the highest standards of service and care. 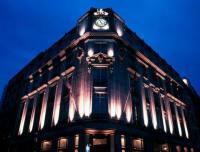 The Royal Horseguards offers an unrivalled blend of elegance and comfort. Tucked away in a quiet area of Whitehall, this Grade I listed building overlooks the River Thames. 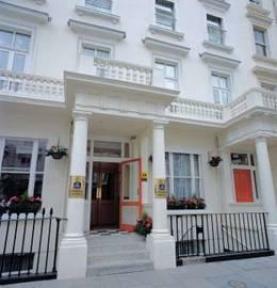 This 357 bedroom hotel is conveniently located for Buckingham Palace, The Houses of Parliament, Westminster Abbey and The London Eye. A stones throw away from Buckingham Palace, yet within easy reach of Green Park and all that the West End has to offer Transport wise you couldn't ask for a better hotel, with excellent links to rail, bus and underground very near by.